We still don’t know what happened to Zuma, a secretive spy satellite that failed to reach orbit after launching from Cape Canaveral earlier this month. SpaceX has consistently claimed that its Falcon 9 rocket worked perfectly—a claim with added credence, now that the U.S. Air Force has said it’s not going to dismiss the rocket company’s right to vie for military contracts. For clarity: after review of all data to date, Falcon 9 did everything correctly on [January 7]. If we or others find otherwise based on further review, we will report it immediately. Information published that is contrary to this statement is categorically false. Due to the classified nature of the payload, no further comment is possible. 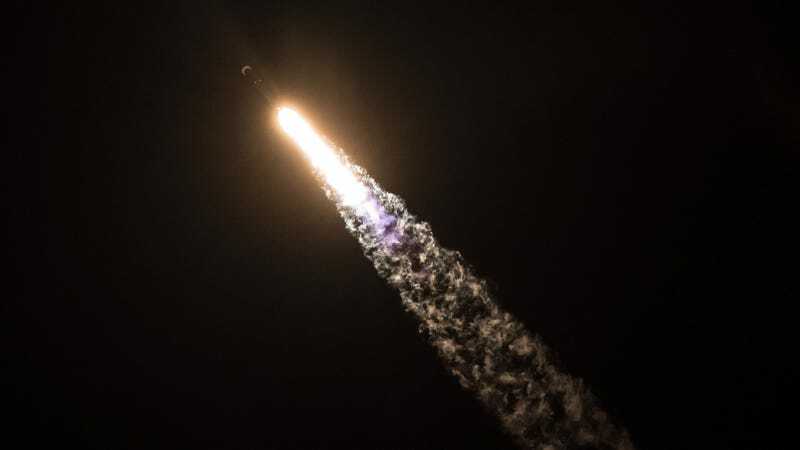 Meanwhile, Northrop Grumman—the company contracted out by the U.S. Air Force to provide the payload adapter—refused to say anything at all, citing the classified nature of the mission. This is obviously great news for Elon Musk, whose company was certified by the Air Force in 2015 to compete alongside United Launch Alliance/Boeing and Lockheed Martin Corporation for military contracts. SpaceX remains eligible to bid for 11 launches from now till the end of the 2019 fiscal year. But while the U.S. Air Force’s vote of confidence looks good for SpaceX, it doesn’t look so hot for Northrop Grumman. Suspicions that the company’s payload adapter—a device that physically separates the satellite from the upper part of the rocket during deployment—is the part that failed now seem more plausible. Normally, SpaceX provides a payload adapter, but Zuma planners insisted on a device manufactured by the defense firm. All this said, we still don’t know what happened. Maybe the satellite failed to power up at separation, or it accidentally put itself in an orbit that sent it hurtling towards Earth. Or the conspiracy theorists are right, and Zuma is alive and well.